Game of Thrones' Season 8: Where are the Valyrian Steel Swords? Only two weapons are effective against the Night King, his White Walkers and the army of the dead: dragonglass and Valyrian steel. 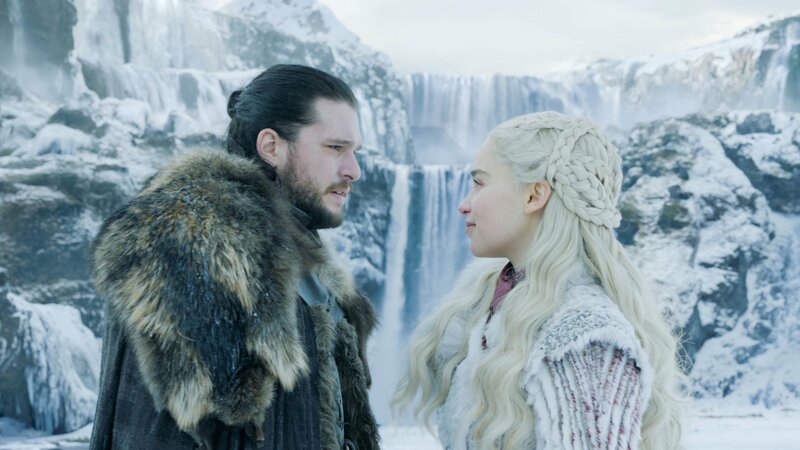 The armies of Jon Snow (Kit Harington) and Daenerys Targaryen (Emilia Clarke) began excavating dragonglass from beneath Dragonstone midway through Season 7—s o that half of the combat plan is covered—but the ultra-rare Valyrian steel has been spread across Westeros. 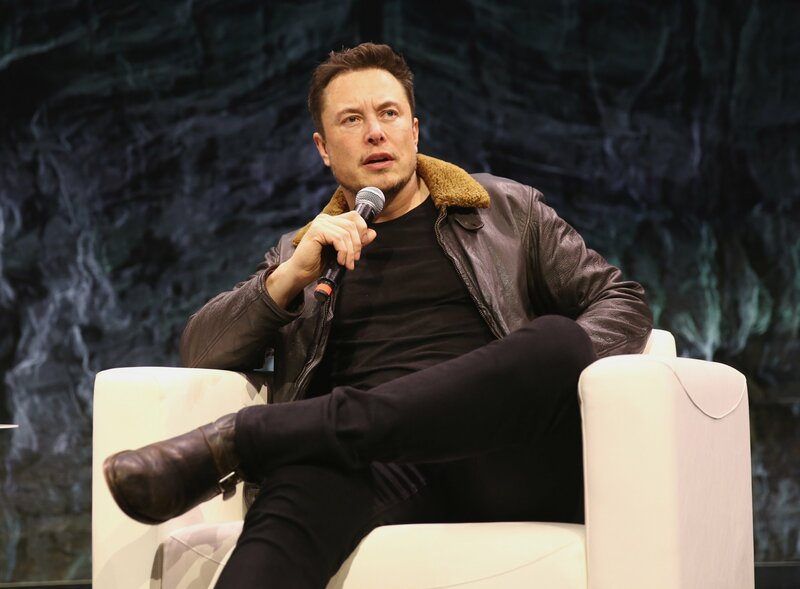 Where Are the Valyrian Steel Swords? Far rarer than dragonglass, so valuable even Lannister gold can’t buy it, it was rare to witness the seemingly magical power imbued in Valyrian steel blades for the first few seasons of Game of Thrones. 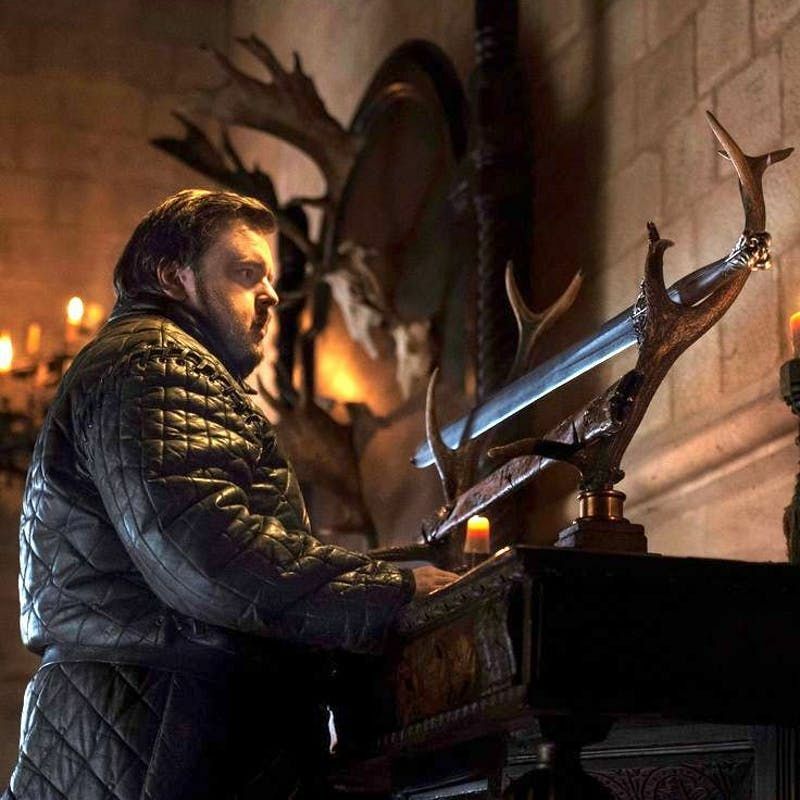 After Samwell Tarly (John Bradley) killed a White Walker with a dragonglass dagger in the third season episode “Second Sons,” we waited two more seasons before Jon Snow defeated a White Walker with his Valyrian blade, Longclaw, at Hardhome. 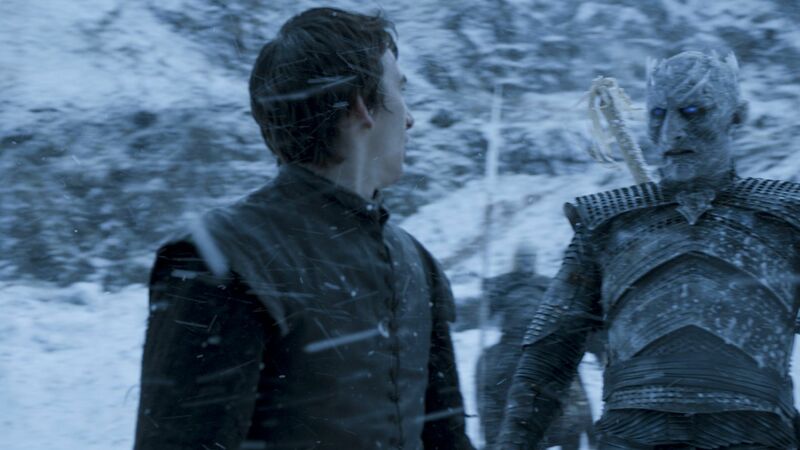 As the endgame approaches with the April 14 premiere of Game of Thrones Season 8, Valyrian steel will be central to the final fight against the Night King and his army of the dead. Location: Heading to Winterfell with Jon Snow. 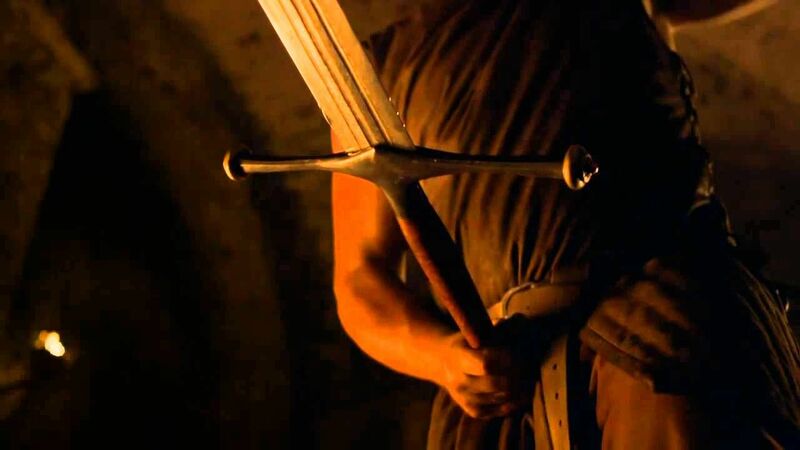 Jon Snow’s Valyrian steel sword, Longclaw, was given to him by the Commander of the Night’s Watch before him, Jeor Mormont (James Cosmo), after Snow saved him from a wight. Jeor changed the pommel from a bear to a white wolf. Before passing to Snow, Longclaw belonged to House Mormont, which had passed it down over five hundred years. Jeor had hoped to pass the sword to Jorah (Iain Glen), but his son was caught dealing in slaves and fled Westeros to avoid execution by Eddard Stark. 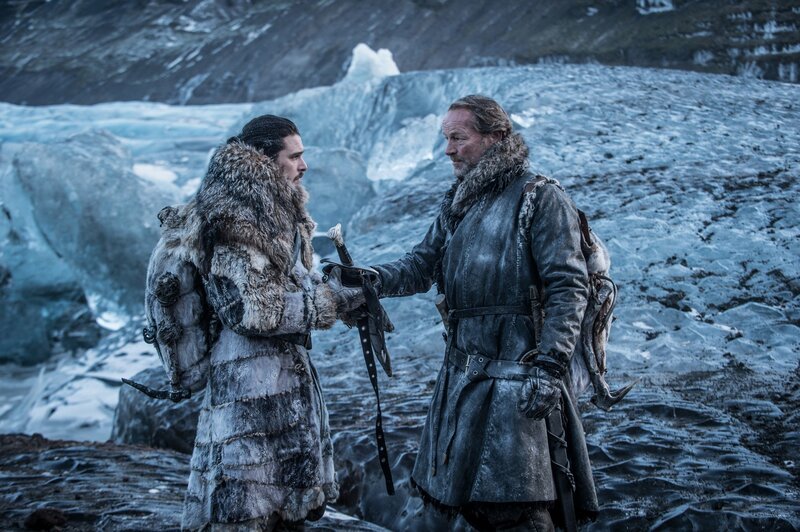 In Season 7 episode “Beyond the Wall,” Snow offers the sword back to Jorah. Like Longclaw to House Mormont, Ice was the generational greatsword of House Stark. 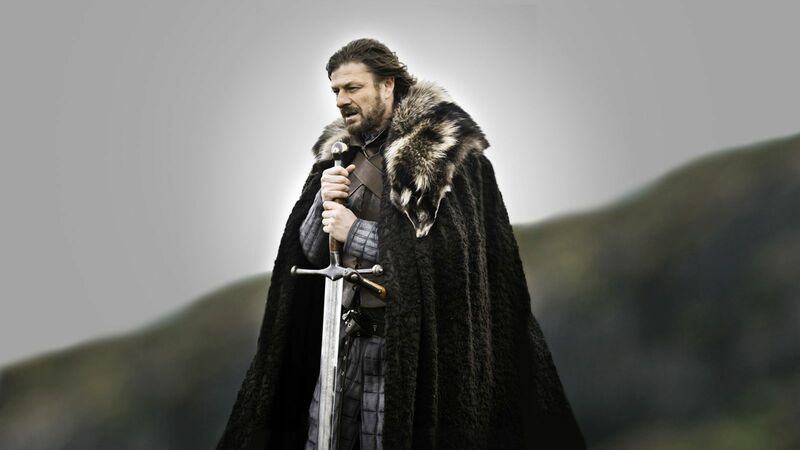 Lord Eddard (Sean Bean) used it in battle and for executions, including the beheading of a Night’s Watch deserter in the very first episode of Game of Thrones. It would later be used to behead the Stark patriarch, after he was framed for treason. Tywin Lannister (Charles Dance), who had long schemed to get his hands on Valyrian steel (the Lannister family sword, Brightroar, was lost long ago), burnt Ice’s wolf-fur scabbard and had a blacksmith from Volantis make two new swords from Ice. Since the destruction of Ice revealed Valyrian steel can still be manipulated by craftsman, it’s possible some of the blades on this list could be reforged or repurposed. If Gendry (Joe Dempsie) is a skilled enough blacksmith to work with Valyrian steel, maybe he could come up with a weapon worthy of killing an ice dragon. Location: Heading to Winterfell with Brienne of Tarth. Oathkeeper was one of two swords Tywin Lannister forged from Stark’s greatsword Ice. 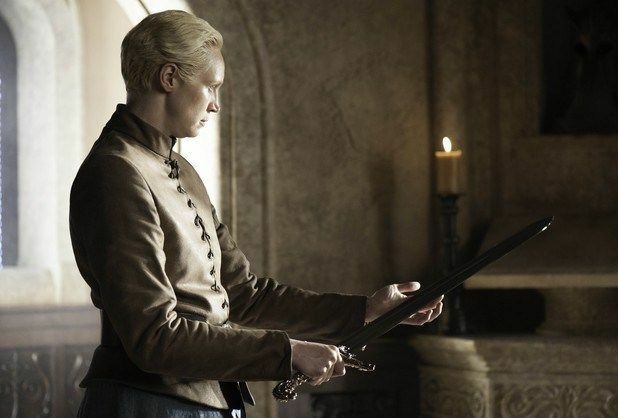 Tywin gifts Oathkeeper to Jaime Lannister (Nikolaj Coster-Waldau), who entrusts it to Brienne of Tarth (Gwendoline Christie) to aid her in tracking down Sansa Stark (Sophie Turner). Using Oathkeeper, Brienne defeats Sandor “The Hound” Clegane (Rory McCann) in single combat. She later uses Oathkeeper to execute Stannis Baratheon (Stephen Dillane). It’s still at her side when Daenerys, Jon Snow and their allies bring the undead to Cersei (Lena Headey) in King’s Landing during Season 7. Location: With Jaime Lannister, likely heading north. The other sword Tywin forged from Ice was a wedding present to his grandson, Joffrey Baratheon (Jack Gleeson). Joffrey, the sadist king, named it Widow’s Wail. Before he was poisoned at his own wedding feast, Joffrey only ever used the sword to chop apart a book gifted him by Tyrion (Peter Dinklage) and cut open a pie. 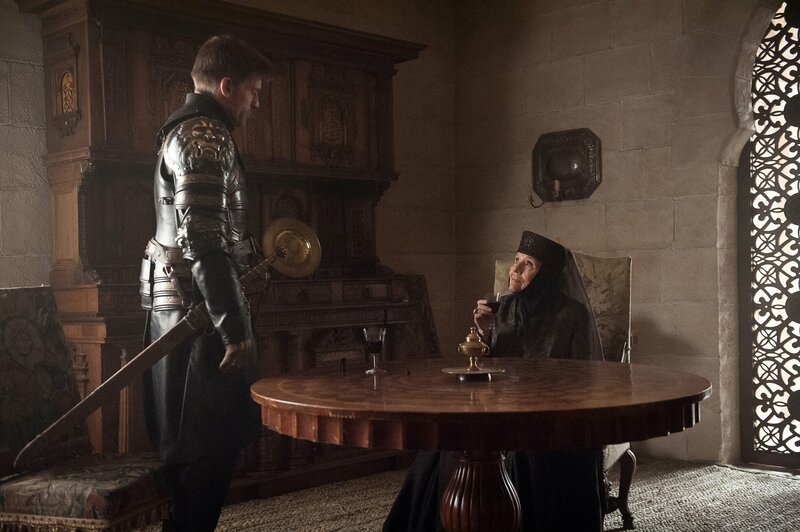 The sword presumably passed to King Tommen, but wasn’t seen on Game of Thrones again until Season 7, when Jaime wore it to Highgarden, where Olenna Tyrell (Diana Rigg) had some choice words to share about Joffrey. 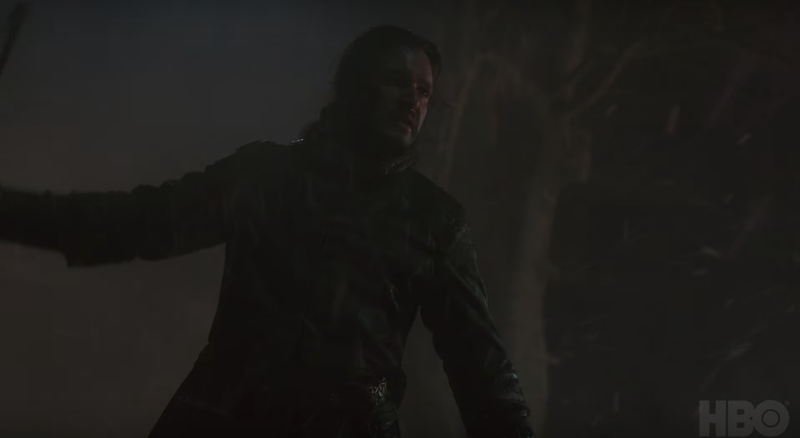 The sword is still with Jaime as he abandons his Lannister armor and rides out, away from King’s Landing and Cersei, just as it begins to snow. Location: Winterfell, on Arya’s belt. Valyrian steel with a dragonbone hilt, Littlefinger’s dagger was used in an attack on Bran Stark (Isaac Hempstead Wright) as part of a plan to pit the Starks and Lannisters against each other early in Season 1. 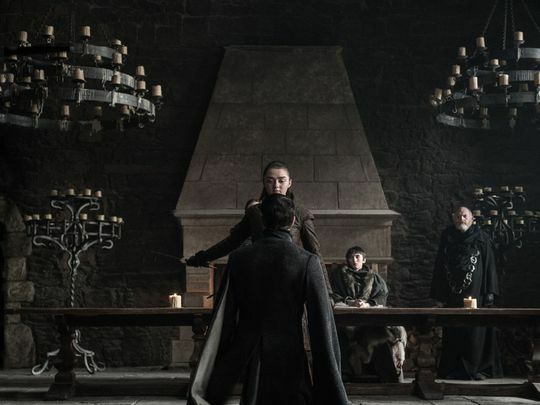 The dagger returns to Petyr Baelish (Aidan Gillen), who gifts it to Bran in Season 7. 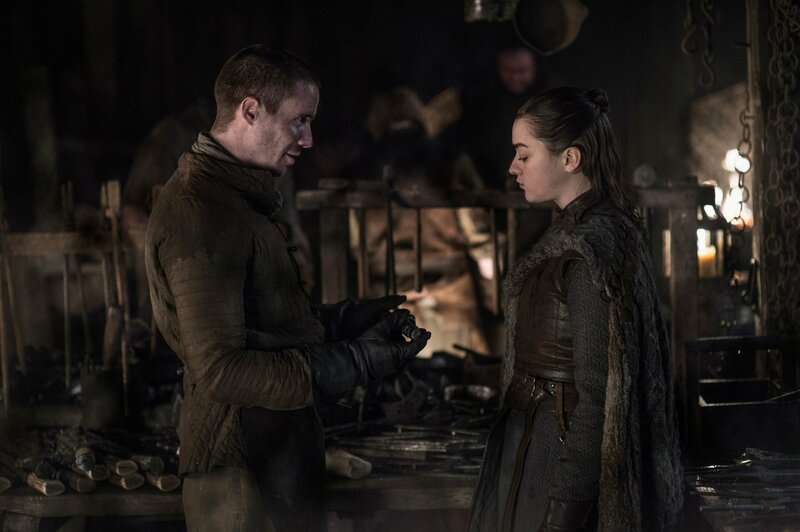 Bran gives the dagger to Arya Stark (Maisie Williams), who uses it to slit Littlefinger’s throat (Arya’s sword Needle is not made of Valyrian steel). 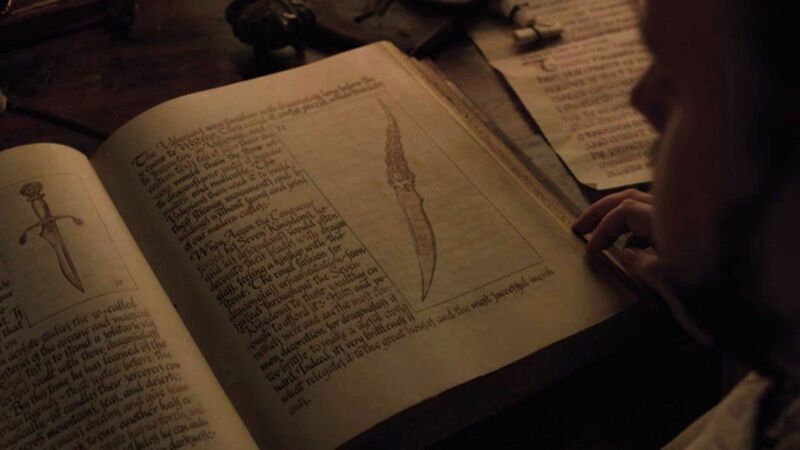 While reading in the library at the Citadel in Oldtown, Samwell opens a book to a page with a clear image of the dagger, hinting that its history stretches back hundreds of years. Expect the true nature of this weapon to be revealed in Game of Thrones Season 8. In the Tarly family for five hundred years, Heartsbane hung on the mantle at Horn Hill. Randyll Tarly (James Faulkner) intended to deny the sword to his oldest son, but Samwell stole it to further his studies into Valyrian steel. He has since abandoned his maester studies and arrived at Winterfell to help in the war against the army of the dead. While it’s possible Sam will wield the Valyrian steel blade in combat himself, it’s just as likely he’ll pass the blade on to a more capable warrior, like Jorah Mormont. Those five blades are the sum total of Valyrian steel revealed on Game of Thrones. In George R.R. Martin’s A Song of Ice and Fire series, there are several other Valyrian blades which could pop up in Game of Thrones Season 8. There’s Lady Forlorn of The Vale’s House Corbray, Nightfall of House Harlaw and Red Rain of House Drumm. But even if all of the Valyrian steel blades in Westeros—or even legendary lost swords like Aegon the Conqueror’s Blackfyre—become a part of the plot in Game of Thrones Season 8, it will remain a remarkably small arsenal to take up against the Night King’s army. 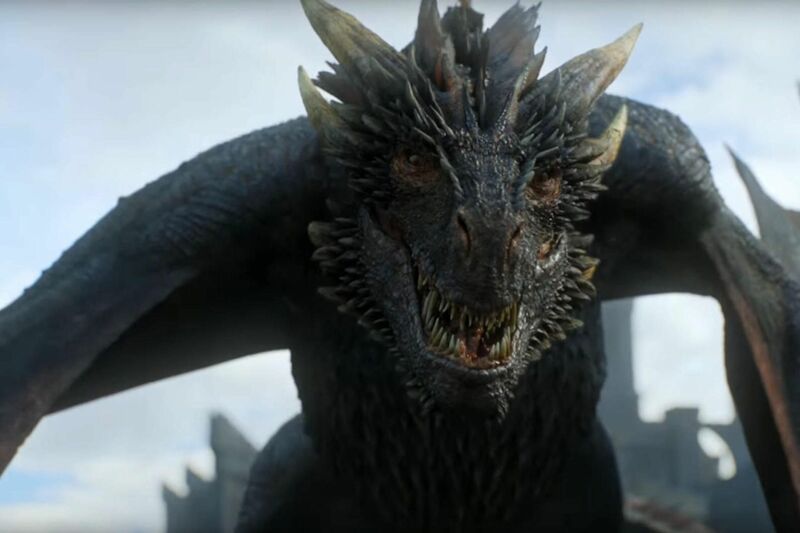 Game of Thrones Season 8 returns to HBO on April 14.